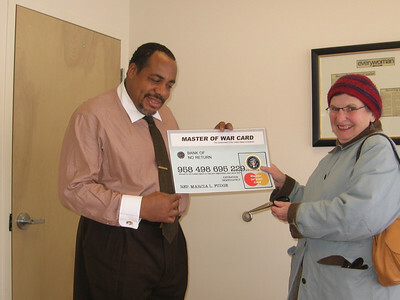 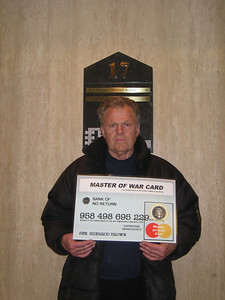 >Cut up your "Master of War" card and become a Servant for Peace and Justice! 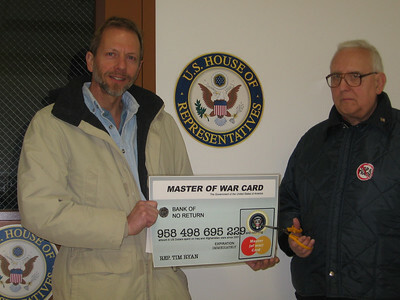 Use the savings to cut the deficit (a majority of it is due to the cost, including interest, of past wars) and to meet domestic needs! 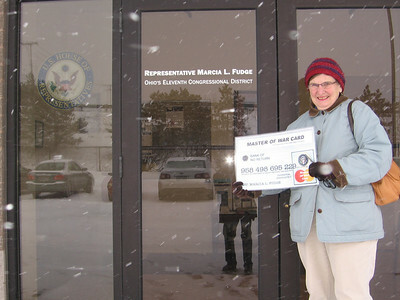 accountable to their constituents (that's US!). 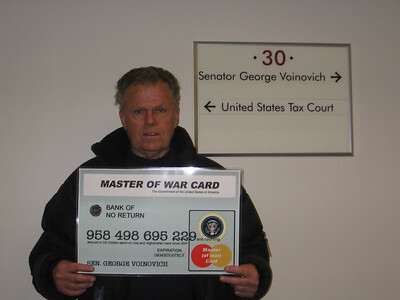 * Mike Fagan at the office of Senator George Voinovich (his aide wouldn't let us take his picture). 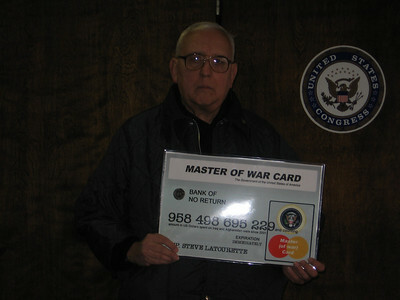 * Mike at the office of an aide to Senator Sherrod Brown. 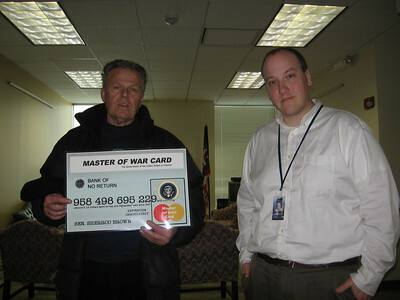 * Mike with an aide to Senator Sherrod Brown. 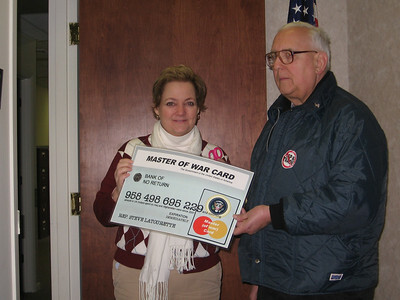 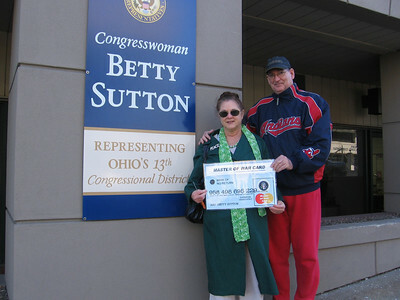 * Mike and Cyndie Davis in front of the office of Rep. Dennis Kucinich. 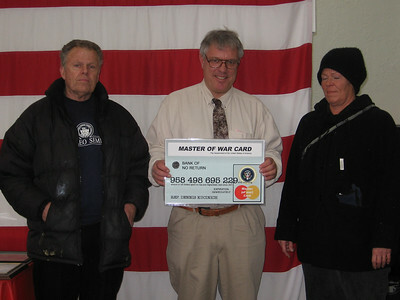 * Mike and Cyndie with Mike Patterson, aide to Rep. Kucinich.